PortaFab's "XTRA-TALL" wall systems offer a flexible solution for segregating plant space by achieving maximum height ranges quickly and economically. 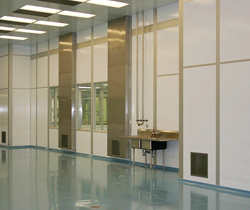 These demising wall systems can integrate with floor, ceiling, and mechanical components to assist with the division of work space as well as create clean environments where pressure, temperature and humidity are controlled. The high finish panels provide a professional looking appearance while the modular flexibility gives you unlimited design and layout options. And, non-progressive construction gives you the ability to change configurations quickly and at low cost. 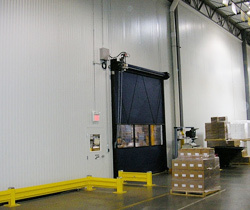 These XTRA TALL industrial partitions are perfect for effectively and economically dividing plant space. They are available in either 4-5/8" and 6" thick steel or aluminum construction with heights up to 40 feet tall. These extra height demising wall systems can extend to your existing ceiling or be free standing with a load bearing deck. 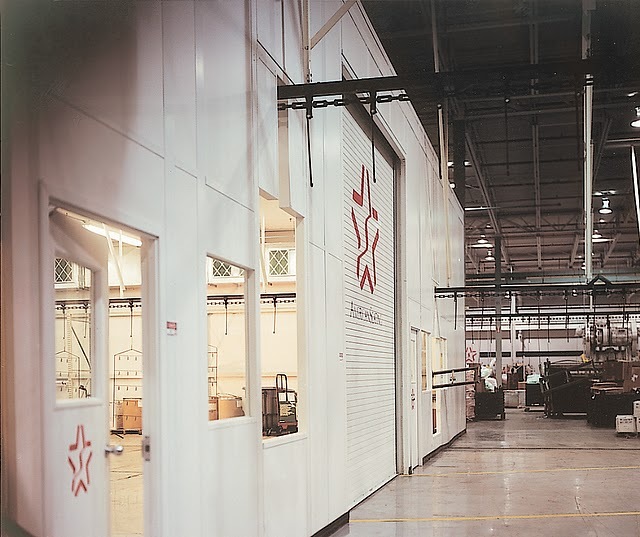 The aluminum stud construction is ideal for use in controlled environments where cleanliness is a very high priority like paint and powder coating enclosures and cleanrooms. The SteelSpan "all in one" panel is an innovative modular wall system that does not require a framing system. Its innovative design is ideal for effectively and economically dividing your plant space from floor to roof.